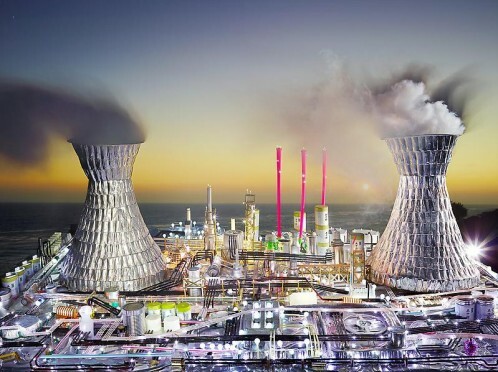 Paul Kasmin Gallery currently presents LAND SCAPE, an exhibition of new photographs by David LaChapelle. It comprises of two series: Refineries and Gas Stations. 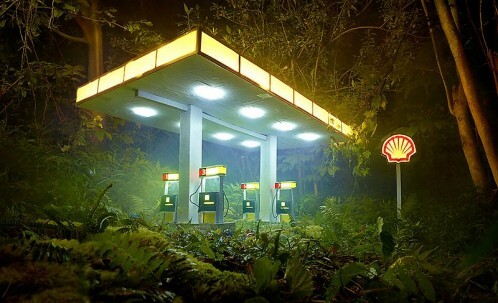 The Gas Station series was shot on location in the rainforest of Maui, and the Refineries were photographed in the expansive deserts and along the majestic coastlines of California. 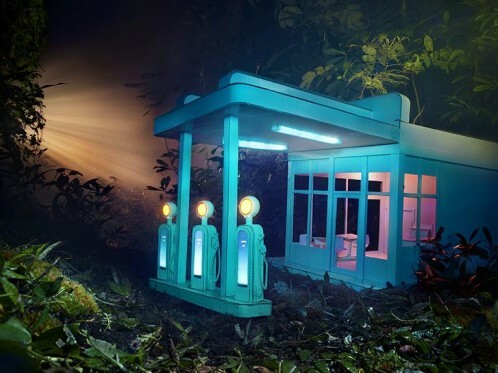 In the Gas Station photographs, the rain forest envelops the fueling stations acting as an organic force that is both generative and destructive; it represents the source of fossil fuels, but it also has the power to re-engulf these man-made creations. Their eerie, subtly surrealist lighting and composition suggest art-historical influences from Edward Hopper to Ed Ruscha. 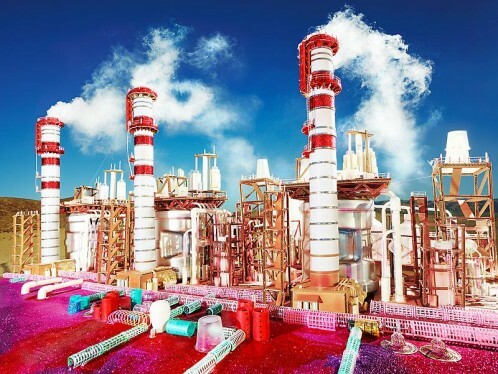 In the Refineries series, LaChapelle treats these scenes as shrines to the product and the lifestyle it makes possible. Bathed in an ethereal light and aglow with an otherworldly quality, we are as captivated as we are repelled. While decoding the construction materials and contemplating the surroundings provides delight, what the artist would like us to remember are the decidedly unmagical consequences of what occurs in the refineries.